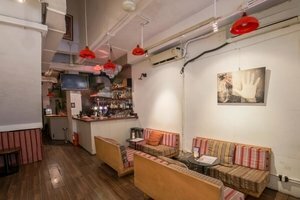 Located close to SoHo in artistic Central is this beautiful lounge-style venue. It is perfect for Pop-Up Stores, Late-Night Events and Product Launches. 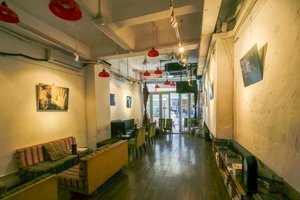 With a creative frontage and classic display windows, this lounge for pop-up events offers good visibility and it is filled with an intense natural light. This lovely lounge is sophisticated with classic interiors of wooden floors and white walls, with elegant windows which create a radiant atmosphere. 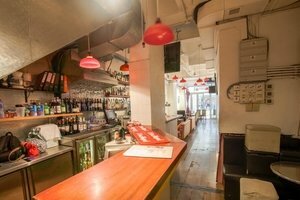 With facilities including chairs and tables, a bar as well as art-deco, this pop-up venue can accommodate a range of pop-up shops and late-night events. 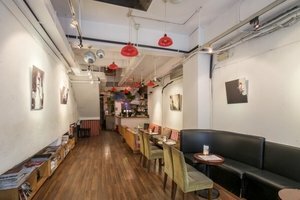 Situated close to SoHo and surrounded by popular stores and reputable art galleries, this pop-up venue is well-located for pop-up shops, late-night events, and product launches.